I am currently studying for the Microsoft certification 70-515 – TS: Web Applications Development with Microsoft .NET Framwork 4. It’s interesting because although I am certified in all of the CRM 4 certifications (applications, customizations, installation and extending) there are still areas I would like to improve to extend CRM. In terms of extending CRM 2011 it has been quite a big jump from from CRM 4 because the code is based on .NET 4 and not .NET 2. The webservices have changed from web services to WCF. You can also use LINQ. To really take advantage of these improvements I need to upgrade my .NET knowledge and I thought studying for these certification would be a good way to do this. It’s also interesting because I although I have been using .NET for the past few years, I haven’t used much of the .NET 4 features and have only used the parts of .NET and ASP.NET that I have needed to do the task at hand. This has meant I have some gaps in my knowledge like LINQ and JQuery that I would like to get to grips with. My .NET buddies are always bigging up JQuery so I really should learn about this. CRM 2011 also allows you to use Silverlight, which will mean you can add some pretty good functionality to your forms. I find it quite interesting reading about .NET 4 because I am a certified Java developer I often understand how web pages work by thinking about how Java does it and JSP pages etc and then use this to understand how .NET and ASP pages work. It reminds me of how people learn new languages and say they think in one language. The more I use .NET and ASP.NET the more I should start to think in .NET!!!! I have to say it’s going to be a lot more work than studying for my CRM exams and this is probably because this exam covers a much larger criteria. For starters the self help study book is 999 pages long!!! Although there is a lot of stuff to study, it certainly won’t hurt to know these things because I can see they will often come in useful and the areas I know I can skim. Skills Being MeasuredThis exam measures your ability to accomplish the technical tasks listed below.The percentages indicate the relative weight of each major topic area on the exam. 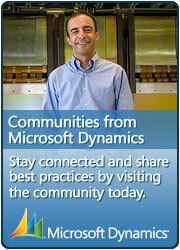 Next Article CRM 2011 – The /sdk/list.aspx metadata browser has gone! due to some reason asp.net app can ends up with some performance and scalability issues specially when applied in a larger web garden. so one has to know and understand the importance of a distributed cache as well.